Looking for a stylish and modern invitation that features your child? 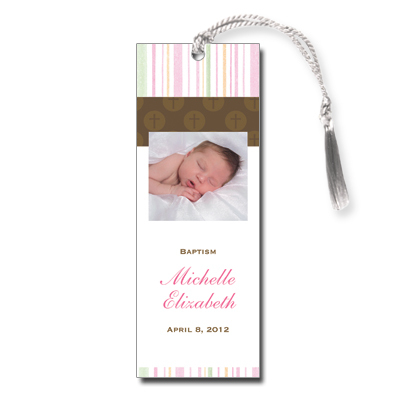 This bookmark joyfully welcomes friends and family to this happy and blessed celebration. Bookmark measures 2x5.5.